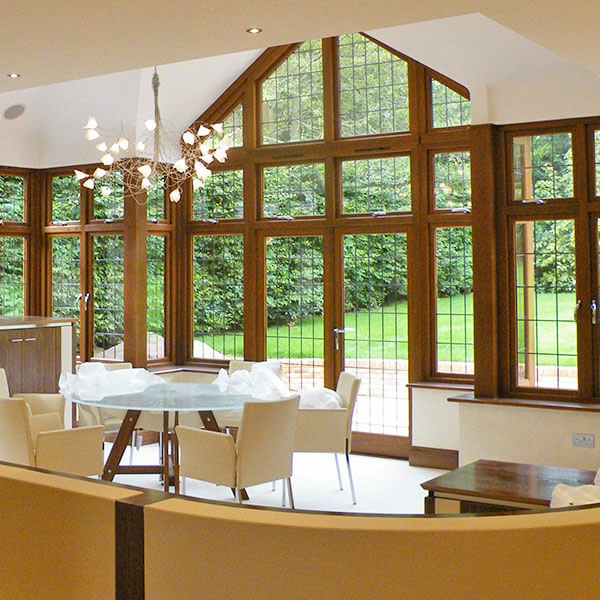 We all love our modern comforts, yet we often want them to feel reassuringly traditional too. 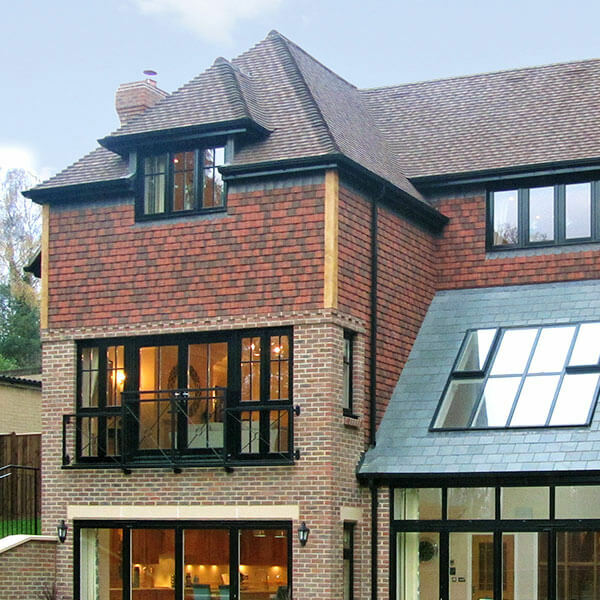 We are adept at blending the traditional with the contemporary and this is exactly what we did on this pair of exclusive, detached, luxury houses. 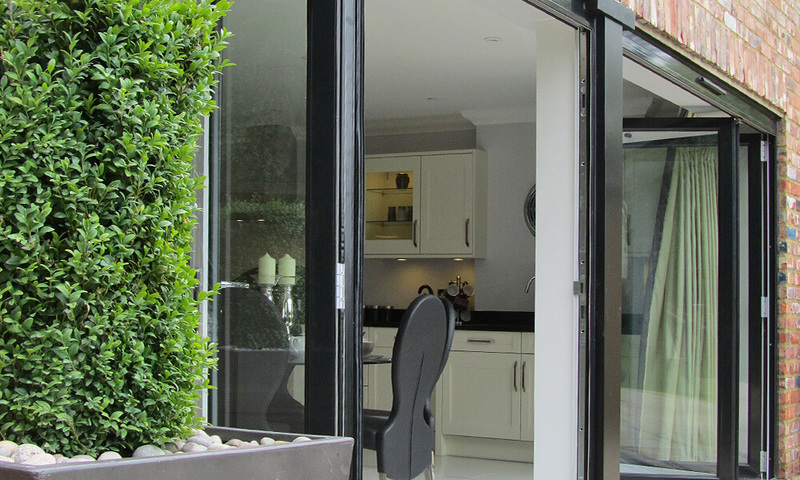 Bi-fold aluminium doors were fitted, with a flush track to ensure the level access between inside and outside for that sophisticated feel. 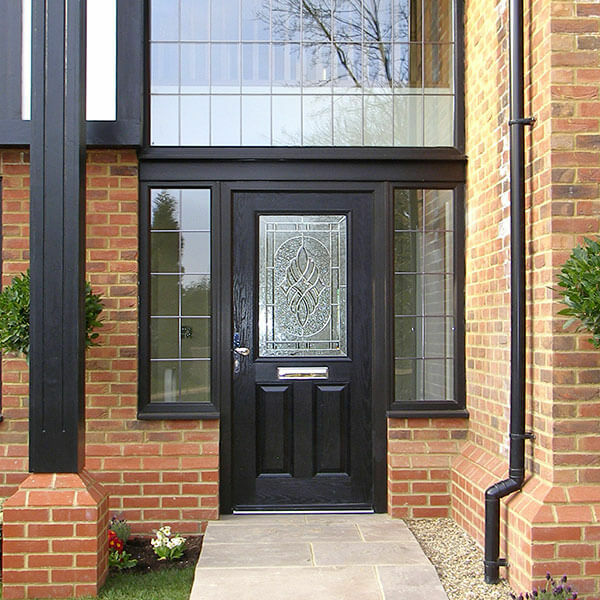 Throughout the properties we used dual colouring of black for the outside and white inside. 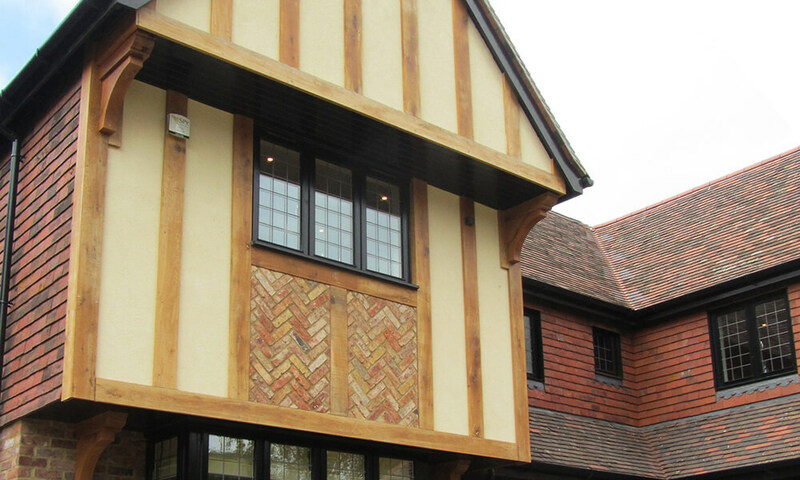 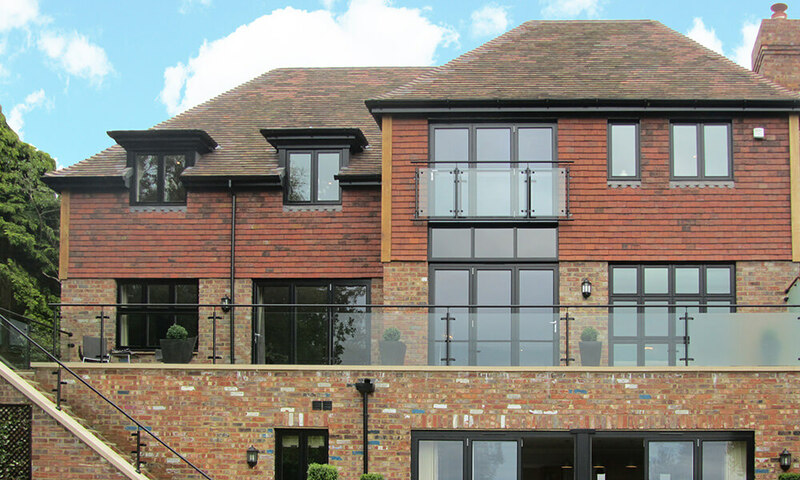 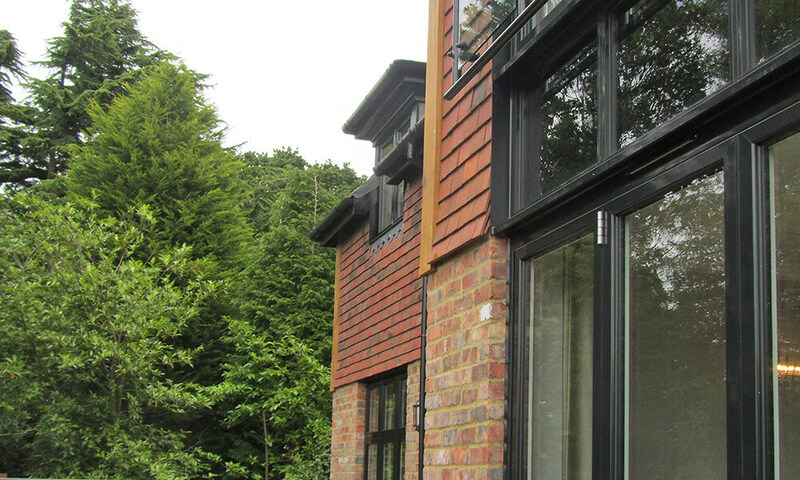 Striking oak front doors were fitted to both properties to add a real sense of tradition and stability, whilst polished chrome window furniture gave everything a supremely elegant feel. 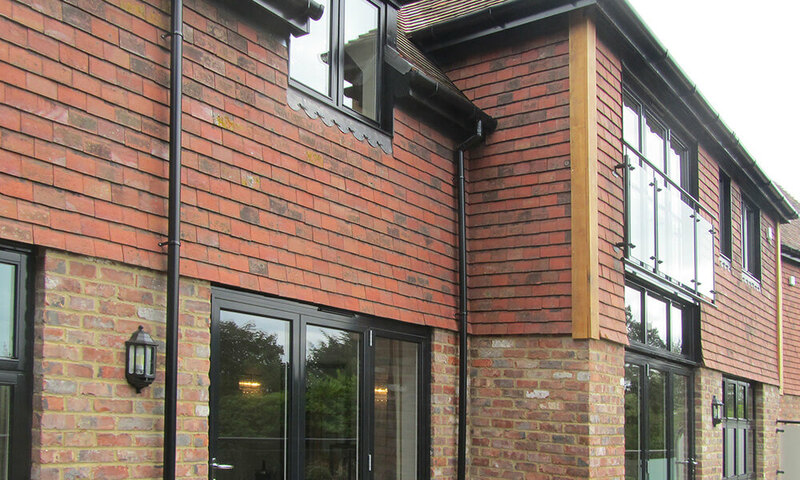 Square and splay bays with corner posts were fitted and tiling cheeks to external reveals were used on the tile-hung elevations. 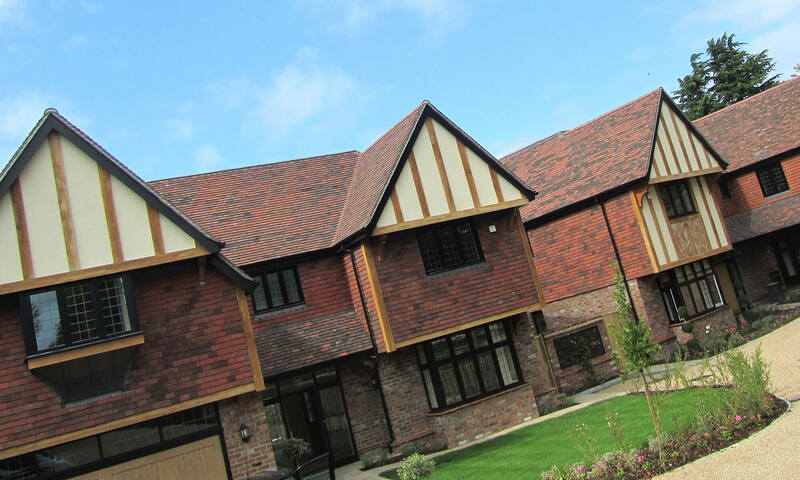 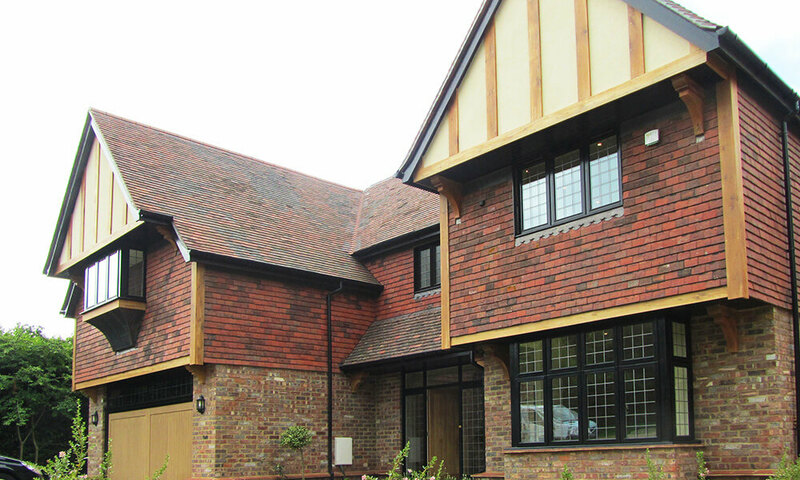 Traditional leaded lights added a finishing touch that was consistent with the stylish grace of these homes.